So last December, our book club’s book for the month was a very sweet book, Charlie and the Chocolate Factory by Roald Dahl. 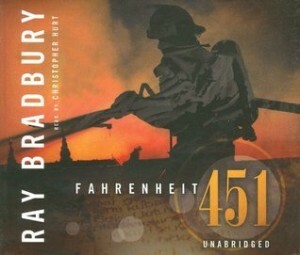 I’m ashamed to admit that I haven’t read the book yet, but this is one of the books that escaped my childhood. But nevertheless, I was excited for it not only because the discussion date is also our Christmas party, but also because hey, it’s chocolate. Who wouldn’t want that? Willy Wonka’s famous chocolate factory is opening at last! Charlie Bucket comes from a poor family who lives near Willy Wonka’s famous chocolate factory. Always hungry, Charlie looks forward to his birthday every year because he gets to have one chocolate bar. Just in time for his birthday, Willy Wonka announced that he is opening his factory again, and five lucky kids who can find a golden ticket will be given entrance to the factory. Our little hero finds one in the most unusual way. Together with four kids — one who likes to eat, one who likes to chew gum, one who never stops watching TV and a spoiled brat — Charlie comes in and finds that he may be in for the biggest adventure of his life. I remember my first impression of Charlie and the Chocolate Factory when I was reading the first few pages: it cheered me up. Maybe it’s a psychological thing with all the chocolates and all, but I felt a bit lighter when I was reading the first few pages. Charlie and the Chocolate Factoryis children’s fiction anyway, so there’s nothing heavy to expect in the book, which my very busy and frazzled mind appreciated very much — a very well-deserved break. However, I realize now that while I’m reading this as an (almost) adult, I wasn’t as enchanted with the book as it went on. I liked the Oompa-Loompa’s song and all, and the lessons that Mr. Wonka gave about each kid are pretty valuable, but in the end I just find him a bit...creepy. I wouldn’t want to be left alone with him, really. Perhaps if I read this as a kid, I would enjoy it for all its chocolate-y goodness, but the grown-up part of my mind is resisting some of its charm. 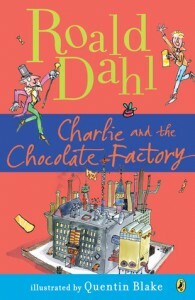 I think my younger self would have loved Charlie and the Chocolate Factoryif I had a chance to read it back then. My sweet tooth would have been beside herself with glee. But now that I’m a little bit older (I was about to say jaded, but that’s too negative, heh), I just like it. I would’ve loved it, but now I just like it. Now I want a chocolate bar. Now that he’s won the chocolate factory, what’s next for Charlie? Last seen flying through the sky in a giant elevator in Charlie and the Chocolate Factory, Charlie Bucket’s back for another adventure. When the giant elevator picks up speed, Charlie, Willy Wonka, and the gang are sent hurtling through space and time. Visiting the world’’ first space hotel, battling the dreaded Vermicious Knids, and saving the world are only a few stops along this remarkable, intergalactic joyride. 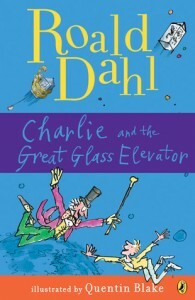 Charlie and the Great Glass Elevatorpicks up right where the first book left off, and Charlie finds himself with Mr. Wonka and the rest of his family inside the glass elevator and by some crazy mishap involving one of Charlie’s grandmothers, they all end up in outer space. But no fear, since Mr. Wonka is there! They find themselves looking at the world’s first space hotel, some bewildered astronauts and finally some Vermicious Knids who are set on having them for lunch. If Charlie and the Chocolate Factory was fun and comforting, I was just kind of …weirded out with the next book. There’s lots of space stuff here, which was fun in itself, but the fun feel of the first book was missing in this book. It felt like all the other adults in this book save for Willy Wonka and Charlie’s Grandpa Joe were all…well, stupid. The Vermicious Knids delivered the right kind of terror, I think, and even I wouldn’t want to be trapped with them. Sure, there’s a smidgen of adventure in the first part, but it didn’t really fly with me. The second part, when they’re back in the factory, worked a bit better for me although I felt like it was just an afterthought in the book. There is a bit of a lesson there somewhere, but it didn’t have the same charm as the first book. I guess if I were younger I would’ve enjoyed this one too, but honestly, I was just reading it to finish it when I got to the end. Although it had some fun merits, a part of me wished that I just stopped with Charlie and the Chocolate Factory. Now I can’t get the image of those Vermicious Knids out of my head. 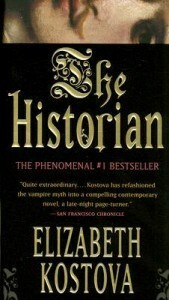 Breathtakingly suspenseful and beautifully written, The Historian is the story of a young woman plunged into a labyrinth where the secrets of her family’s past connect to an inconceivable evil: the dark fifteenth-century reign of Vlad the Impaler and a time-defying pact that may have kept his awful work alive through the ages. The search for the truth becomes an adventure of monumental proportions, taking us from monasteries and dusty libraries to the capitals of Eastern Europe – in a feat of storytelling so rich, so hypnotic, so exciting that it has enthralled readers around the world. The Historian by Elizabeth Kostova is our book for our November discussion for the book club. It was my only choice among the three books that we voted for last July because our theme for November was horror and I’m not a horror fan, so I go for the least horrific. :P I’ve heard good things about this book from some blogger friends, plus our moderator, Monique, liked this one too, so I figured I will probably like it too. The Historian is the story of an unnamed narrator and her family’s past. What starts as a simple book and some letters found in her father’s study turned out to contain a story bigger than she expected, even bigger than her father and her dead mother that spans across the centuries. The book is more of a collection of her recollection of her own research and her father’s research and travels about Vlad the Impaler and the danger that they encountered as they pried deeper into the life of the fifteenth century Wallachian ruler. I started this book a little apprehensive, because like I said, I’m not a horror person. I don’t like scaring myself, so I was kind of careful when I started reading it. My friends assured me that it wasn’t that scary, but there were several times when I felt jumpy while I was reading this, especially when it was raining and when I was alone at home. I found the first part of the book quite engaging, where I was passed from the main narrator’s point of view to her father’s and back. I liked how the mystery presented itself, and how I got invested in the main characters in this first part. I liked the dangerous — and a little scary — tone around the first part, where they just don’t know what’s going on and how they do not know just how big the thing they’re poking is. That was the first part. The second part was still quite interesting, but then somewhere in the middle, it started to lag. 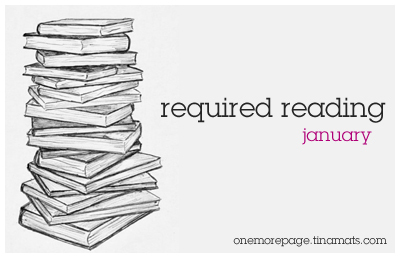 I don’t read much historical fiction, or anything that had too many historical documents for that matter. Somewhere in the second part, I was amazed at the setting but everything else was bogged down by the fact that the characters kept stumbling upon different documents, countless books and letters about Vlad the Impaler. I get it, okay. They are historians, yes, so these documents were a necessary part of the story, but man, they were tedious. I didn’t want to skim through it because I might miss something else, but I admit that I slowed down my reading at this part. Come part three. Part 3 was a little bit more exciting, especially since it felt like they were getting closer and closer to uncovering the mystery. I got a little bit annoyed when they opened yet another book and read yet another letter, but when you’re that close to the end of a book, giving up is not an option. At least, not for me. And when the final reveal comes…I was all…huh. I won’t spoil it for you, but at the end of the book, I had to clarify with some friends if I understood what I read, and they said I got it right. And after 900 pages, all I could think of was: That’s it? Overall, I have a bit of mixed feelings with The Historian. Perhaps I was expecting more, and I was shelving it together with some of the adventure/mystery/horror books that I have read before and forgot that the book is really more of a travelogue and historical account more than it was supposed to be horror. 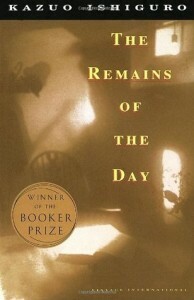 I liked the writing and the level of detail that this book possessed, and it made me want to go backpacking around Eastern Europe (and generally all over Europe again — I totally drooled at the part where they were in France with the descriptions of food) to see the places the characters went to in the book. As far as the story goes, however, I thought the big reveal fell a little flat, and I was really expecting a big one after all the things the characters went / read through. Five years, four months and twenty-nine days later, on April 14, 1965, Richard Eugene Hickock, aged thirty-three, and Perry Edward Smith, aged thirty-six, were hanged from the crime on a gallows in a warehouse in the Kansas State Penitentiary in Lansing, Kansa. I love watching crime shows, but I only really like watching fictional ones. Any crime show or documentary that is “based on a true story” automatically creeps me out. I can do a marathon of CSI all day, but when someone tells me that someone near us was robbed or a friend of a friend of a friend is killed, I automatically shut my ears because I don’t want to imagine it happening to the people I care for. Case in point: there was a time when I learned that our neighbor was robbed, and for the next week, I slept with a scissor beside my bed (not a wise thing, actually) because I was afraid that someone would get in our house and do the same thing to us. I figure the scissor is a good enough weapon, right? 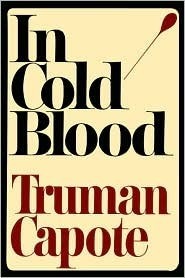 So I’m not really sure why I voted for In Cold Blood by Truman Capote when we had our poll for our September 2012 book. I guess I was swayed by the good reviews on the book, plus it seemed the most interesting among the choices. I guess I also totally forgot about that certain part of my paranoid childhood until I started reading the book. In Cold Blood is Truman Capote’s account of the murder of the Clutter family in the small town of Holcomb, Kansas by Richard Hickock and Perry Smith. It’s not really a simple account of the murder told in a boring old non-fiction narrative. This is classified ascreative nonfiction so it read like a novel, and instead of just focusing on the murders, we are given a peek into the lives of the accused, their trial, up until their execution five years later. Here’s the thing with In Cold Blood: it reads like any other crime novel until you do a little research and realize/remember that the characters in this book were actually real people. I was really just enjoying Capote’s writing while I was reading the first part, until someone from the book club posted photos of the Clutter family on our thread and I got major creeps because I remembered that the story was real. I’m not as paranoid worried now as I was when I was a kid, but realizing the truth in this story made my skin crawl. I can’t imagine the horror of that night. But again, the story didn’t really focus much on the victims but on the killers. It’s an interesting angle that actually made me feel sorry for them despite the grievous sin they committed. I’m not saying that what they did was excusable — it’s just that seeing their side of the story, or at least, their background, made me just a little bit sympathetic to them. They could have been better people, I thought. There could have been something that could have changed their past so they won’t have to do what they did. And end up that way. In Cold Blood could spark discussions on numerous topics, especially on the death penalty and justice, and that was exactly what happened during our face to face discussion. Interestingly, I got one of the hard ones again, something about justice and it started a pretty long debate/discussion on what justice really meant for everyone of us. I admit that it’s one of the things that I need time to really understand, and that right now I just really, really pray hard that nothing like this ever happens to anyone I care for. In Cold Blood reminded me of the time when I did a Criminal Minds marathon a few years back. I really enjoyed it, but I didn’t really go out of my way to watch it again. Once is enough, I guess (unless it’s for research or something). Likewise, I liked In Cold Blood, but I don’t think I have the heart to read something like this again.